In an effort to protect native breeds of cattle, especially the Kangeyam cattle known to be an asset of the Chera dynasty, a mobile application, Konga Madu , was launched in the city on Saturday. Konga Gosalai and Shri Sakthi Institute of Engineering and Technology have come up with this app, aimed at providing the required information to farmers possessing Kangeyam bulls and cows. The app was launched by H. Raja, national secretary of the Bharatiya Janata Party, at a function held at the college. 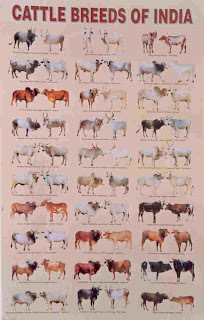 According to the organisers, Konga Desam or Chera kingdom has been producing the best breeds of Indian Zebu cattle (bos indicus) and is well documented in Tamil Sangam literature. The recent archaeological excavations at Porunthai and numismatic evidence from Amaravathi river in Karur corroborate the Sangam texts in confirming the cattle propagation during the time of the Chera kingdom. After the advent of exotic breeds such as Jersey to augment milk production, native breeds have lost its charm and are on the verge of extinction. Erstwhile Pattagar of Palaykottai, Shree Uthamakaminda Rao Bahadur Nallathambi Sarkarai Mandradiar sustained and brought the Kangeyam under international limelight by the end of the colonial era. The present Pattagar Rajkumar Mandradiar had recently formed the Palayakottai Pattagar Cattle Farm and Research Centre to help conserve the Kangeyam breed. The Konga Gosalai has been rescuing Kangeyam cattle from being sold at local shandies and giving them to farmers for rearing. In the last two years, more than 800 cows have been rescued. With a wider view to produce pure progeny, Konga Gosalai along with faculty members Selvakumar, Arun Stalin of Shri Sakthi Institute of Engineering and Technology and a team of Katpas Technologies Coimbatore developed this app. Using the app, the farmers having Kangeyam bulls could look for Kangeyam cows or those with cows could look for bulls and locate the nearest veterinary care centre. The app is designed to make information available on hand to ensure the health of Kangeyam cattle. The farmer will be able to buy or sell a Kangeyam cow to another farmer with the help of this app. The app also helps in getting expert advice from doctors on ailments affecting the cattle. The app , Konga Madu , is available in Android mobile play stores as a free download.